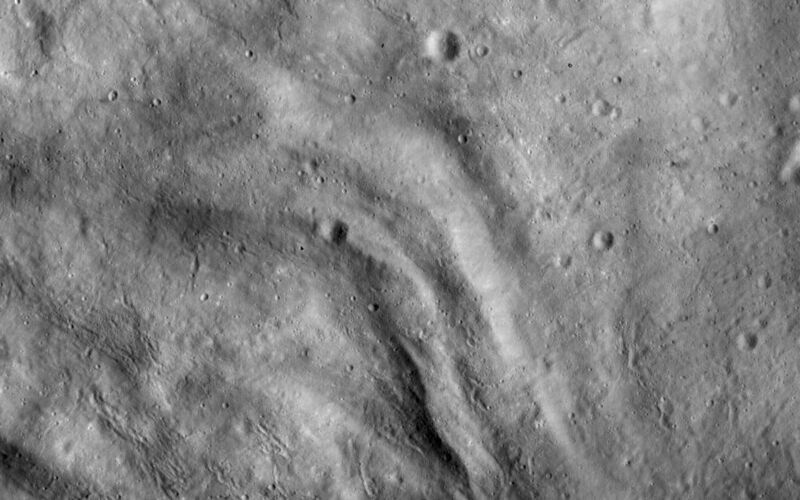 This Dawn FC (framing camera) image shows the undulating terrain of Vesta's southern hemisphere, which consists of ridges and depressions. 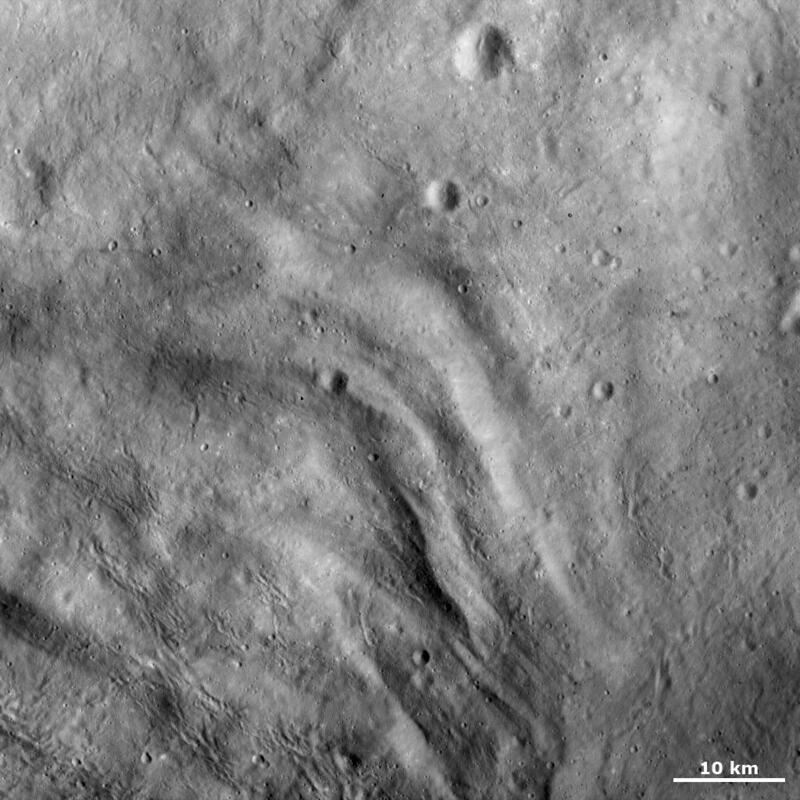 This undulating terrain is only located in Vesta's southern hemisphere, in and around the Rheasilvia impact basin. Many of these linear, curving ridges and depressions are clear in the left side of the image. A single ridge can continue for many tens of kilometers and the spacing between ridges is generally less than 10 kilometers (6 miles). There are some craters superposed onto these ridges and depressions. Also, many linear, curving grooves cut across the undulating terrain. These grooves are orientated in various directions throughout the image. This image is located in Vesta's Pinaria quadrangle and the center of the image is 36.4 degrees south latitude, 46.7 degrees east longitude. 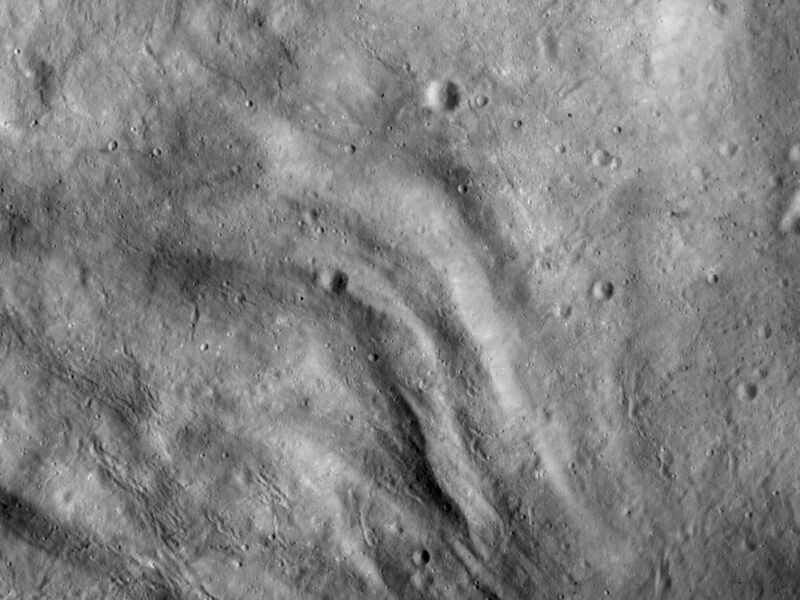 NASA's Dawn spacecraft obtained this image with its framing camera on Oct. 26, 2011. This image was taken through the camera's clear filter. The distance to the surface of Vesta is 700 kilometers (435 miles) and the image has a resolution of about 70 meters (230 feet) per pixel. This image was acquired during the HAMO (high-altitude mapping orbit) phase of the mission.